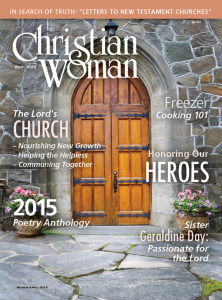 The “A Matter of Taste” column in the March/April issue of Christian Woman features recipes that help you make the most of a busy day by cooking ahead and freezing foods for another day. The article features foods like Parmesan Garlic Chicken, Beef Stroganoff, Chicken Enchiladas and others, as well as some great information on how to freeze foods to keep them both easy and tasty after freezing. 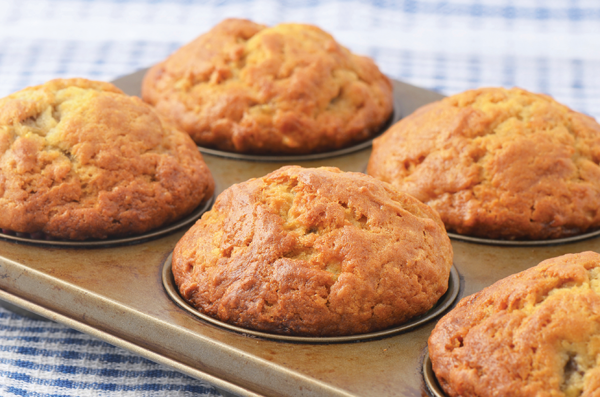 Try this easy Banana Oat Muffin recipe and let us know what you think. Preheat oven to 375 degrees. Combine bananas, oil, egg, milk and vanilla in a bowl. Mix well and set aside. Whisk together flour, oats, sugar, baking powder, cinnamon and salt. Stir into the banana mixture just until they are combined. Spray muffin cups with cooking spray and fill with 1/3 cup batter. Bake 18 minutes or until a pick inserted in the center comes out clean. Cool completely, then pop baked muffins into a freezer bag and freeze until ready to use.